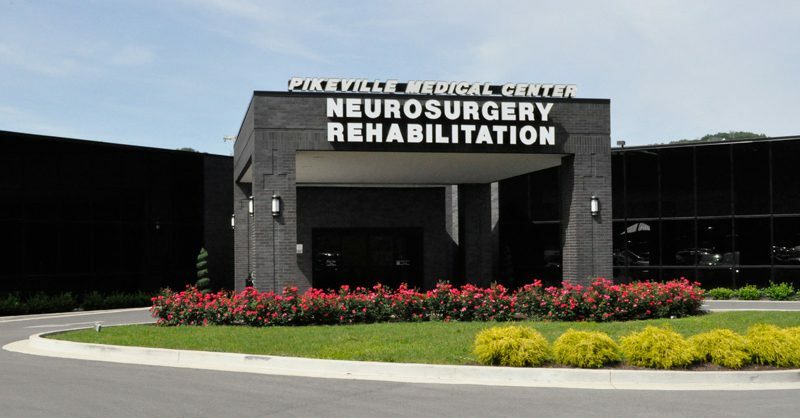 Pikeville Medical Center’s Outpatient Rehabilitation Center offers extensive outpatient therapy services to our patients. Open Monday-Friday from 8 a.m. – 5 p.m., the center is easily accessible and offers plenty of parking. 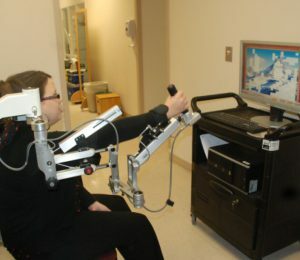 Up-to-date technology, equipment and therapy services are used to help a patient regain their independence. 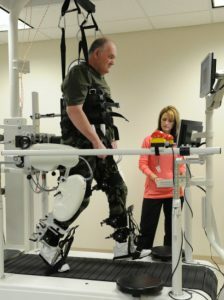 This innovative therapy is a robotic driven gait orthosis that automates locomotion therapy on a treadmill. Adult and pediatric patients affected by a spinal cord injury, stroke, neuromuscular disease or traumatic brain injury and have lost their ability to walk are being treated effectively. 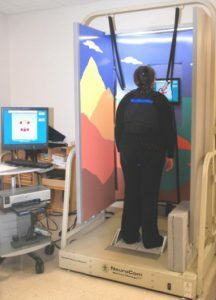 The patient is suspended in a harness over a treadmill to begin the session. The robotic frame moves the legs in a natural walking pattern. The pace of walking is calculated by a computer and measures the response to the movement. 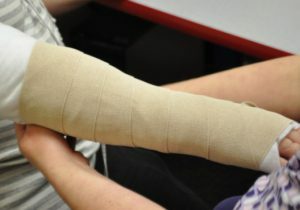 The therapist may wrap the swollen area with bandages to reduce the amount of swelling a patient is having. This is effective in decreasing swelling in any body region along with controlling the pain that accompanies it. 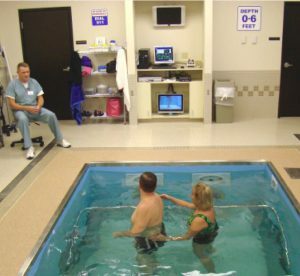 This therapy is an exercise program performed in the water for adult and pediatric patients who are unable to tolerate land therapy. It is useful for a variety of medical conditions including cerebral palsy, back pain, orthopedic/sports injuries and fibromyalgia. 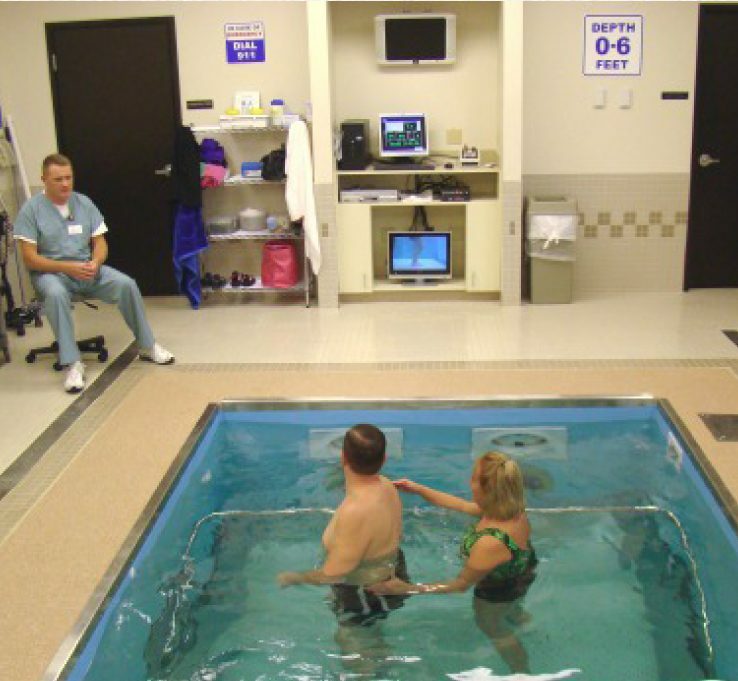 The Hydroworx 2000 pool has an adjustable floor, variable water depth, treadmill, support bars, underwater cameras, viewing monitors resistance jets and is wheelchair accessible. 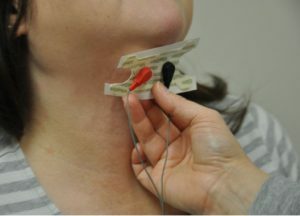 This therapy unites the power of electrical stimulation with the befits of swallowing exercises to accelerate strengthening, restore function and help the brain remap the swallow. Patients who have suffered a stroke or have Parkinson’s Disease may benefit from this therapy. This therapy is used to improve strength and function of severely weakened arms through the use of video game technology. Arm weight is supported and built in sensors record even the slightest movements. Movement is displayed on a computer monitor to encourage the retraining of muscles through repetition. Patients who are beginning to regain active movement of the arm and hand who have suffered strokes, traumatic brain injuries or neurological disorders may benefit from this therapy. This treatment provides objective assessment and retraining of the sensory and voluntary control of balance with visual biofeedback on either a stable or unstable support surface in a stable or dynamic environment. Patients experiencing dizziness, recent fall or instability in movement may benefit from this therapy.